Celebrating Summer Reading at NSES! 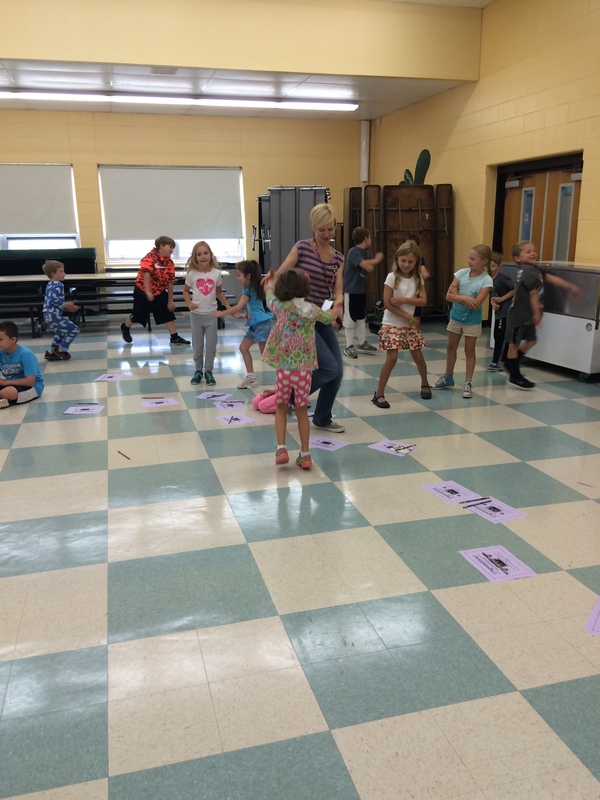 Overall, the students at NSES read 54,695 minutes – that’s 912 hours! Students in Kindergarten read 3,190 minutes or 53 hours! Students in Grade 1 read 8,335 minutes or 139 hours! Students in Grade 2 read 23,438 minutes or 390 hours – wow! Students in our 2 third grades read 19,732 minutes or 329 hours! To celebrate, we held a gathering this morning where we shared some of our favorite books. 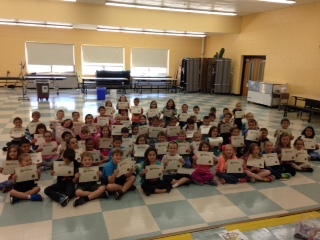 Each student who participated received a certificate, pencil, and applause (of course!). We honored our top grade level readers with a gift card to Barnes and Noble. 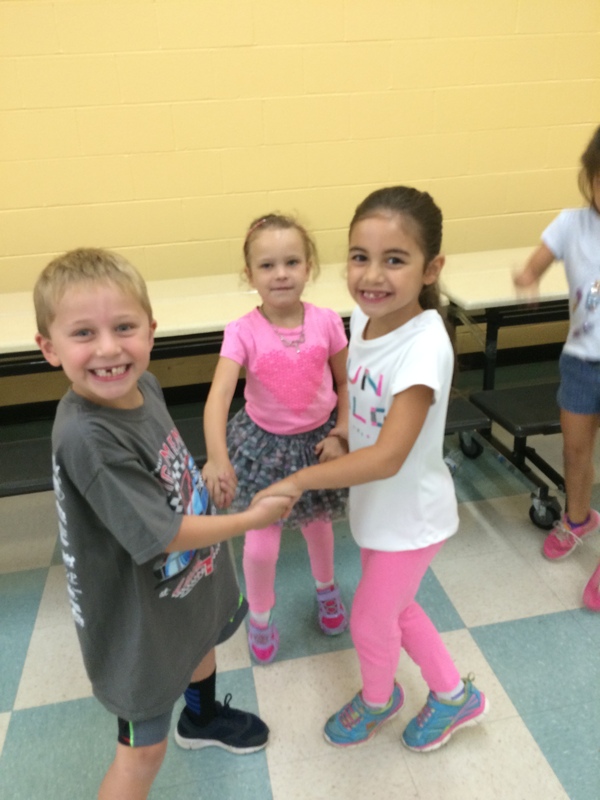 We ended our celebration with a short dance party, because every celebration needs a little music! See some pictures below of our top readers as well as some photos of our celebration. Remember, reading is something we can celebrate every day! We’re hoping to keep our enthusiasm for reading high as we enter the 2015-2016 school year…let us know what your favorite books are and we’ll share! 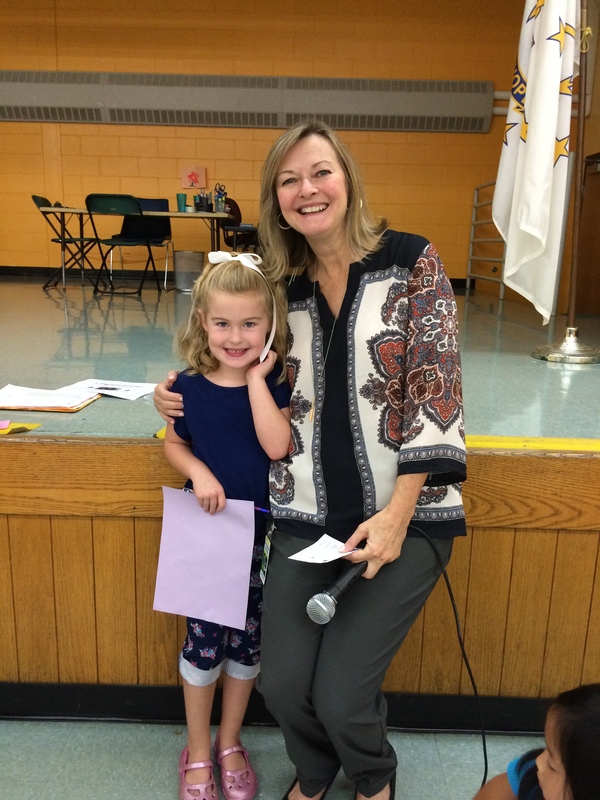 Mrs. Jolin with Emily Smith, our top Kindergarten reader who read 1200 minutes this summer! 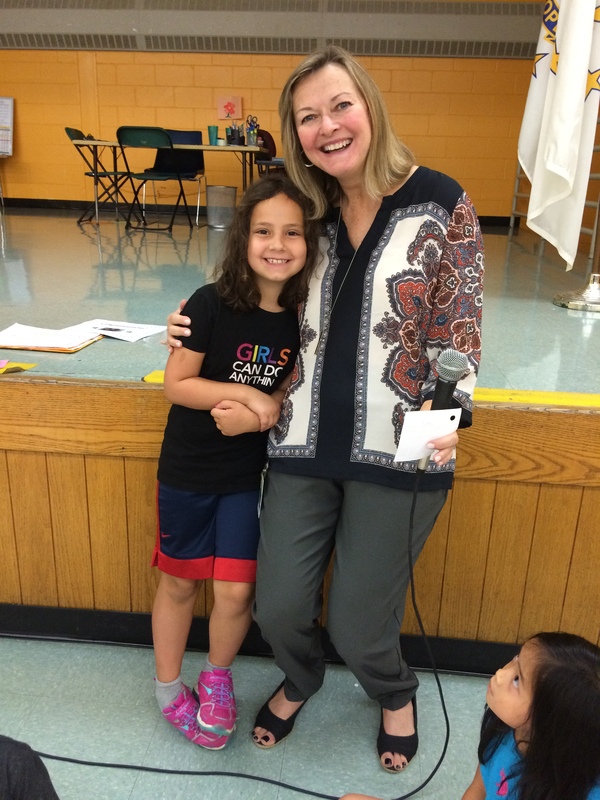 Mrs. Jolin with Brielle Baillargeon, our top Grade 1 reader who read 1,500 minutes this summer! 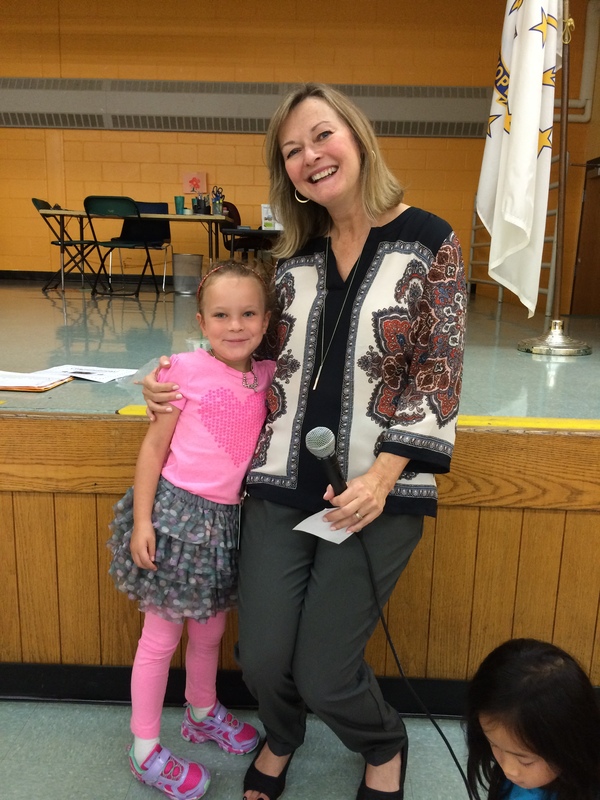 Mrs. Jolin with our top Grade 2 reader, Amelia Marseglia who read 1,740 minutes this summer! 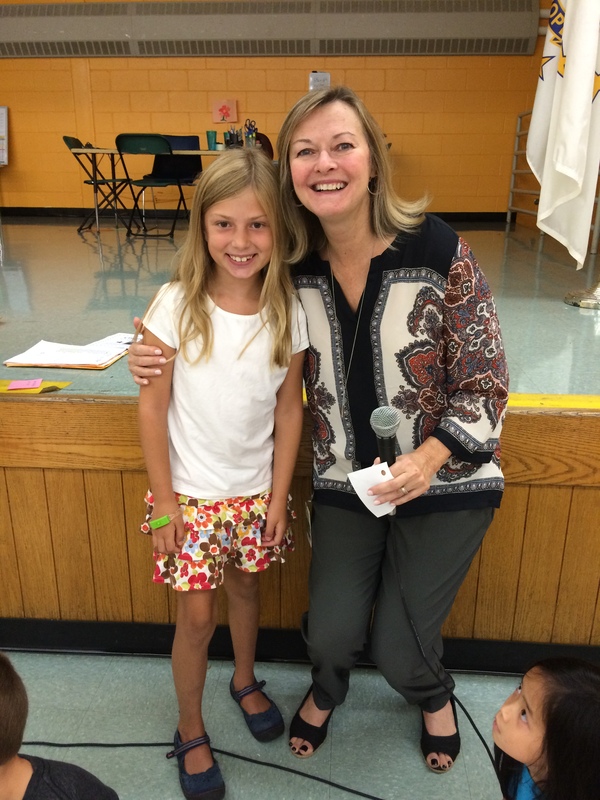 Mrs. Jolin with our top Grade 3 reader, Teagan McMahon who read 6,930 minutes this summer – that’s 116 hours! 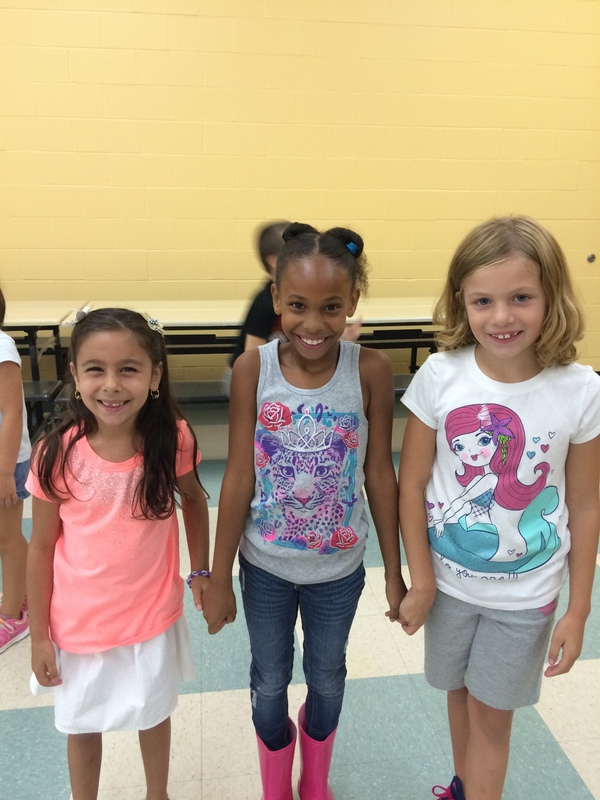 Those smiles are because these girls love to read! Helping us celebrate with some dancing! Adam Harrison, Kindergarten. 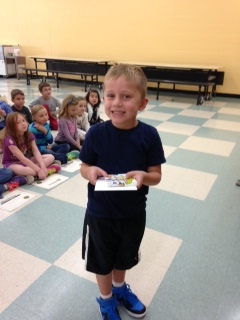 Adam was the only Kindergarten student to complete the Summer Reading Challenge! 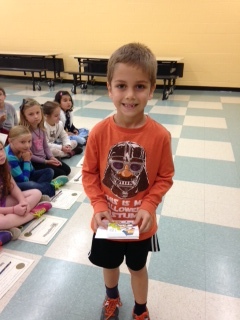 Samuel Lane, top reader Grade 1. Samuel read 2,440 minutes this summer! 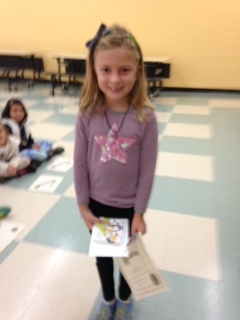 Teagan McMahon, top reader Grade 2. Teagan read 5,890 minutes this summer! 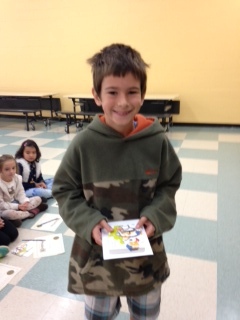 Thomas Powers, top reader Grade 3 (other than overall). Thomas read 3,635 minutes this summer! 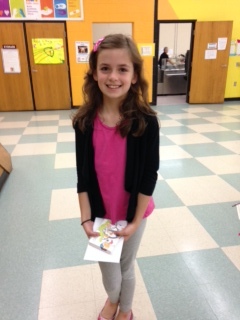 Grace Lane, our top reader! 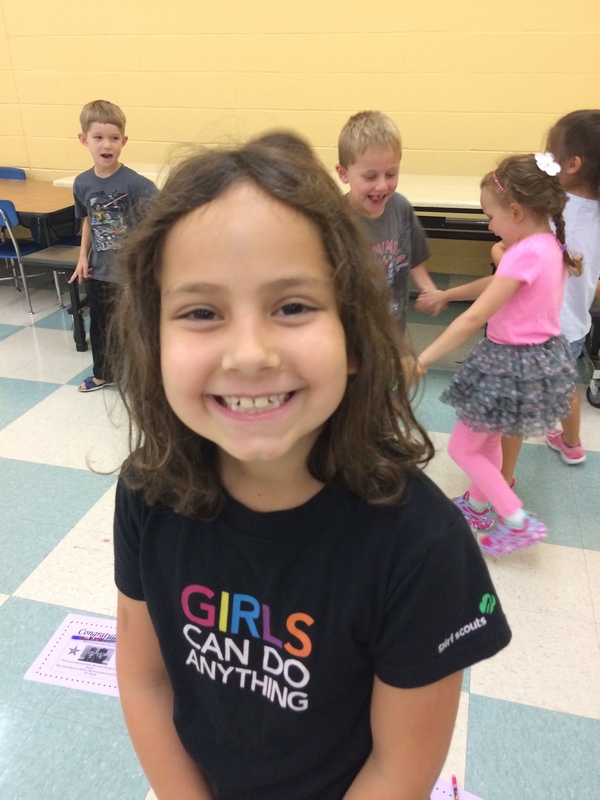 Grace is in Grade 3 and she read 6,160 minutes this summer…she said her favorite was Harry Potter!